Our first tuna trip of the season! Capt Ed and I headed out towards Jeffrey’s ledge to scope out the tuna situation. The harpoon boats have been working areas up and down the coast from Maine to Rhode Island. We had reports of activity on Jeffrey’s so we headed that way. As we reached our destination we set up shop and started trolling a few squid bars. Things were looking good. Harpoon boats were working the area. 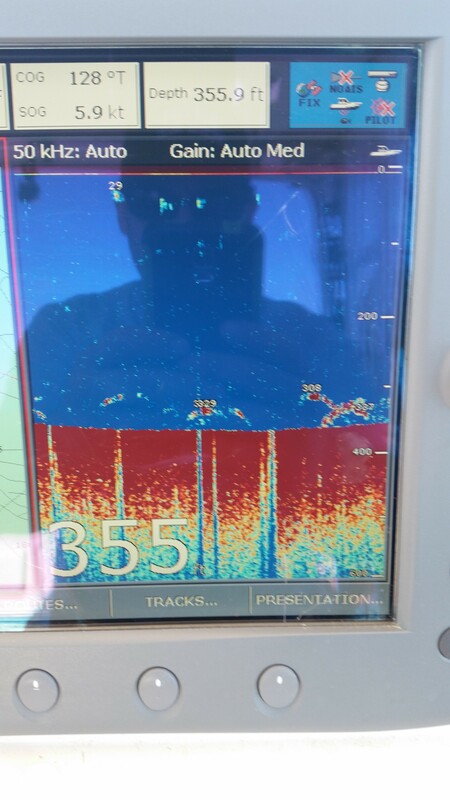 we were marking tons of bait and more importantly TUNA!! we were not able to raise any fish on our first pass. So we anchored on the edge of a nice area that was loaded with bait. Once we settled into our routine we commenced ground fishing for “local” bait. We managed to bring in a tremendous amount of haddock, many of which were smaller than the legal limit that had to be released. 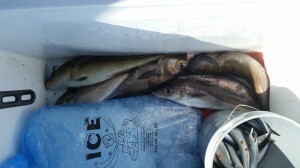 We set an active haddock out on our kite and a few mackerel on our drop lines. unfortunately we were unable to secure a tuna but we know they are in the area and we will persist in catching some!